Humanities Nebraska (HN) recently elected five new members to its Council and Foundation boards of directors at its January 16 board meeting. The Nebraska Humanities Council board elected three new members, while the Nebraska Foundation for the Humanities elected two. Laura Capp PhotoLaura Capp of Ashland holds a Ph.D. in English and an M.F.A. in Book Arts from the University of Iowa. She recently opened Postscript and Pentameter Press Studio, where she sells hand-crafted products by independent printers, lettering artists, and bookbinders, and offers classes in bookbinding and calligraphy. Laura also produces a “Poetry by Post” subscription series, “to discuss poetry in venues other than academic journals…to create an elevated experience of poetry and literature accessible to all.” She is also a founder and co-president of the Letter Arts Alliance of Nebraska. Steve Elliott of Wayne is dean of the School of Arts and Humanities at Wayne State College. An artist/sculptor, Elliott’s works have been included in more than 80 exhibitions and collaborations in 26 states nationwide, including ARC Gallery in Chicago, 516 ARTS in Albuquerque, the Sioux City Art Center, and the Manoa Art Gallery in Honolulu. His works have also been featured at the Mid-America Arts Alliance in Kansas City. He holds a B.F.A. from the University of Kansas and an M.F.A. from the University of Maryland. A Marine veteran, Elliot also serves on the John G. Neihardt Foundation board. Amy Sandeen of Hastings is the executive director of Prairie Loft Center for Outdoor and Agricultural Learning. The Hastings native lived and worked in St. Paul/Minneapolisfor 18 years before moving back in 2008 to help establish Prairie Loft. Sandeen has worked with schools, non-profits, outdoor education centers, and wilderness programs in several states. She was awarded the 2013 Conservation Education Award from the Nebraska Wildlife Federation. Sandeen currently co-chairs the Give Hastings Day planning committee and serves on the Hastings Area Chamber of Commerce Agribusiness Committee, in addition to many other local roles. Kay Fowles of Grand Island is a community volunteer and philanthropist who has served on many nonprofit boards and advisory groups, including the Stuhr Museum of the Prairie Pioneer (operating and financial), the Grand Island Community Foundation and Grand Island Public Schools Foundation, College Park and YMCA boards. She is a trustee for the Grand Island Public Schools Foundation and the Nebraska State Historical Society Foundation. Fowles also served on the local committee for HN’s Chautauqua in Grand Island. Dr. Beverly Kracher of Omaha is CEO of the Business Ethics Alliance and holds the Robert B. Daugherty Chair in Business Ethics & Society in the Heider College of Business at Creighton University. Kracher serves on the advisory board for the Maguire Center for Ethics in Financial Services at The American College, and is co-author of The Ethinary, a common-sensical ethics dictionary. She holds a Ph.D. in philosophy from the University of Nebraska-Lincoln, and her current research focuses on city-level business ethics, ethical leadership, online trust and online business protests. Kracher’s essays on business ethics are frequently published in various academic journals. The Council also elected Katherine L. Walter of Lincoln as the new chair for 2016. Walter is co-director of the Center for Digital Research in the Humanities at the University of Nebraska-Lincoln. David Buntain of Blair, an attorney with the Cline Williams law firm, will serve a second year as Foundation president. Humanities Nebraska inspires and enriches personal and public life by delivering opportunities to engage thoughtfully with history and culture. These opportunities include grants for humanities-related projects accessible to the public throughout the state, Speakers Bureau programs to schools and community groups, Prime Time Family Reading Time, Chautauqua, touring exhibits from the Smithsonian, and many others. 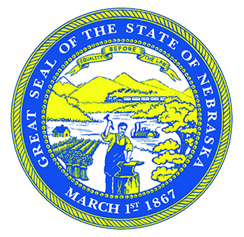 Humanities Nebraska is a non-profit, state-based affiliate of the National Endowment for the Humanities.